Ipswich is a growing city located in the state of Queensland in Australia. The city is located on the Bermer River on the South Eastern part of the state. The Ipswich city is just around 30 kilometers away from Brisbane which is the capital of Queensland. There are both national and international airports near the city and it is also very near to the Gold Coast which is a popular tourist destination. The geographic coordinates of the city of Ipswich are 27o61' South and 152o76'. The total population of this city is about one lakh forty five thousand. This city has a reputation for being a great educational centre and also has a campus of Queensland University in it. In the beginning of the nineteenth century the first group of colonists first began to settle in this area. In the 1860 the municipality of Ipswich was officially proclaimed and it was made a city after almost half a century. The rich heritage and culture of the area can be well witnessed in the region’s architecture. In 1974 the city became world news when it was hit by extreme flood. Ipswich city is well administered by the city council. The council is headed by the Mayor and it has ten councilors. They are elected from ten different constituencies and the election takes place regularly after every four years. The tourism in Ipswich is widely associated with the exotic flora and fauna of the region. Nature Centre and the Woodend Nature Centre are the wildlife centers where even the flying foxes can be seen. There are almost 552 different fauna and about 1257 plant species there. The main places to attractions in Ipswich are the steam trains, Ipswich Art Gallery, National Parks and Ipswich Art gallery. 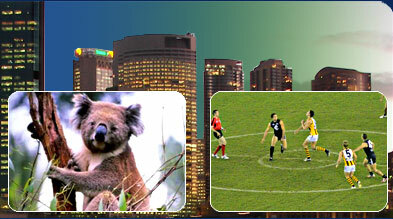 There are major sports events like Queensland Open Golf Championship, car races and horse races. Ipswich Festival and the Ipswich Show are the two major events which attracts tourists in Ipswich. Some of the places of attractions in Ipswich are the Queens Park, Nerima gardens, Ipswich Civic Hall, Willowbank raceway, Kholo Gardens, Workshops Rail Museum and Pan Pacific Peace Gardens. There are numerous shopping centers in Ipswich where the tourists can enjoy. Some of the shopping centers of Riverlink Shopping Centre, Booval fair, Orion Shopping Centre Redbank Plaza and Goodna Shopping Centre. Heritage restaurants, Hotel Metropole Ipswich, Ipswich Club, Uncle Joe Chinese Restaurant, Frank Chung and Ipswich Diggers Family Restaurants are few hotels in Ipswich. It would be best to plan a vacation to Ipswich during the Goodna Jacaranda festival as the city comes to life during this three days event. The University of Queensland and the University of Southern Queensland are present in this city.